Making the decision to get help for an alcohol or drug use problem is a major step in improving your life. Congratulations! You may now be trying to figure out how to pay for the help you need. Unfortunately, difficulty in paying for rehab treatment is one of the challenges that many individuals face and it too often unnecessarily prevents them from entering a program. If you don't have insurance to cover the costs, there are other options that may be able to help you with drug rehab treatment financing. The cost of a drug rehab treatment or substance use program is $10,000 and up for a six week inpatient program, depending on the facility and its amenities. Traditional inpatient drug rehab generally runs on the lower end, while an upscale facility costs as much as $40,000 for a six week stay. Most facilities offer some type of drug rehab treatment financing through private finance companies that may include a low or zero annual percentage rate (APR), no penalties or fees for a specified period of time, and low interest rates for balances that are carried over. If you are trying to get into a program,Â you could be thinking that you might not be in the best frame of mind right now to make big financial decisions. Treatment facilities understand that and the centers work with finance companies that also understand your situation. At Freedom Model Retreats we have a program for everyone, no matter what their financial situation might be. We work with finance companies and also offer scholarships for individuals in need. 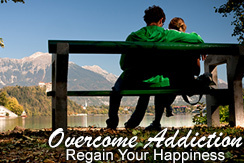 We understand that you need help to get past your drug use and begin your new life. The Freedom Model Retreats are different from all other rehabs because we are a non-treatment program. The Freedom Model Program uses Cognitive Behavioral Learning to help our guests self-evaluate their choices and to make better, more productive choices. Our guests learn to reinforce their new choices and decisions with habits and behaviors in a positive manner. They are able to enjoy life permanently free from drug use. The six week program at the non-religious Freedom Model Retreats will help you develop the life skills and tools you need to have a productive and happy life. Don't miss this opportunity for financial reasons that can be overcome.